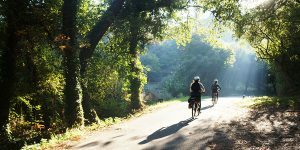 September is a busy month on the Camino with many walkers and cyclists sharing the trails, so today we are going to focus on bike etiquette on the Camino since, approximately 15% of pilgrims on the Camino de Santiago are travelling on two wheels. 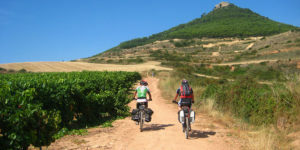 You can travel most of the Camino de Santiago stages and routes by bike (a mountain bike is probably the best option). In general, you will be cycling double the amount of kms covered by pilgrims on foot. For example, you will be able to cover the whole Camino Frances in two weeks or the Camino Portugues from Porto in just over a week. 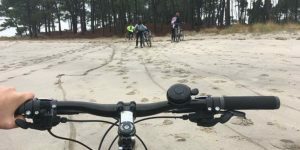 –Be heard: If you are cycling and following the same path as the walkers, make sure you make yourself heard with your bell for example or with a ‘Buen Camino!’ or other salute as you approach them. –Listen: as a walker, don’t get irritated by bike bells as this is just the best way for cyclists to let you know they are approaching. –Alternative routes: as a cyclist, be aware that in certain areas, you might be able to follow an alternative route, more suitable for bikes and away from walkers. This information is generally available in guidebooks/maps and signposted in some parts of the Camino trail. –Narrow paths: in narrow areas busy with walkers, it might be easier to get off your bike. –Respect other pilgrims: it all comes down to the simple rule of respecting other pilgrims, above all, be polite to other, more vulnerable users of the route. For example, in busy stretches, keep your speed low to avoid surprises. Walkers should also be aware the trail is shared with cyclists so if there is a path provided for walkers, separately from cyclists, please stay on that path and respect the cycling lane. If encountering pilgrims on horseback, give them enough space when over taking so the animals don’t get scared. 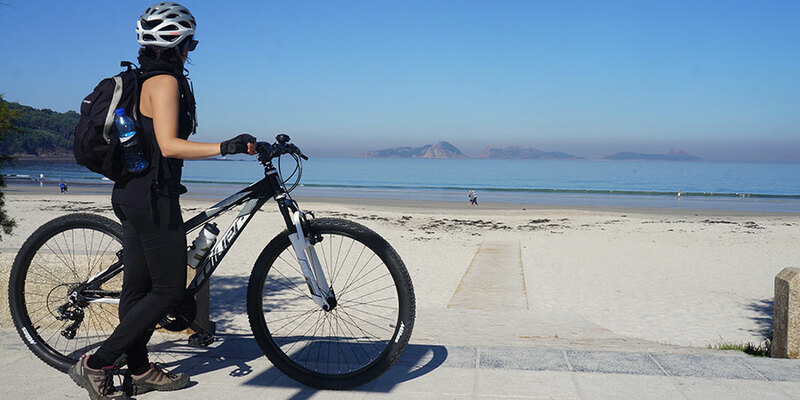 –Be Safe: cyclists should, by Spanish law, use a helmet when riding in urban areas. 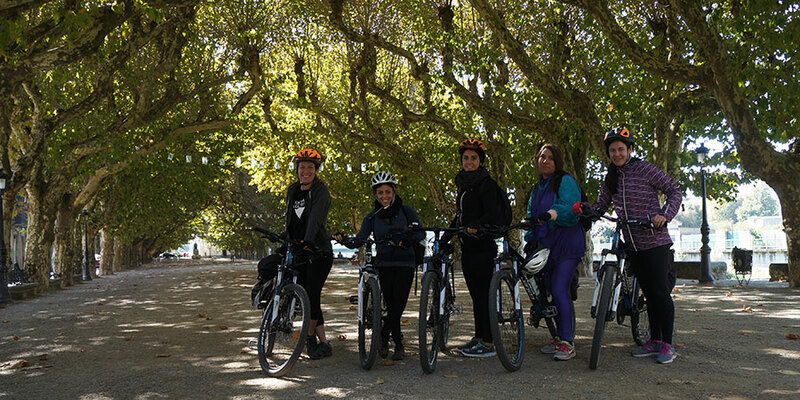 *If you are looking to cycle the Camino, check out our packages for ‘bicigrinos’, Camino pilgrims by bike; we can also organise bike rental. We work with local companies in each country such as TournRide, for the Spanish routes, our partners for many years. 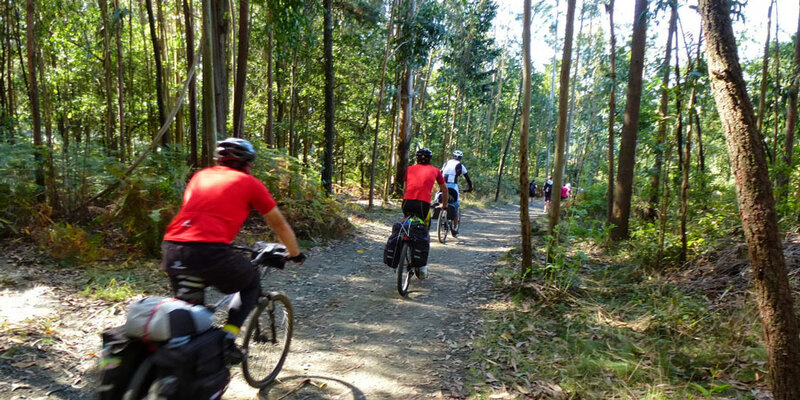 Read more about bike etiquette on the Camino on our blog. Unfortunately we don’t provide any transfer from Santiago de Compostela to any hometown. Most of our clients would either travel with their bikes or transport using a courier service such as UPS or Fedex. I apologise for the delay for replying to you and hope that this is helpful. ours bicycle from Santiago de Compostela to Budapest, Hungary. how much does the service? did you have some information about this possibility?